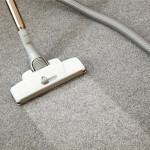 For Superior Carpet Cleaning In Colorado Springs Trust Us To Save Your Carpets! High Performance Carpet Cleaning, LLC consistently delivers the very best carpet cleaning in Colorado Springs to homeowners and businesses throughout the Colorado Springs region. According to the Institute of Inspection Cleaning and Restoration the single best method to maintain the health and beauty of your carpet is to vacuum regularly with a strong, well-functioning and properly-filtered vacuum cleaner. The next best cleaning and restoration method you can do for your carpet is to regularly schedule professional carpet cleaning in the form of hot water extraction, commonly known as steam cleaning. Trust High Performance Carpet Cleaning in Colorado Springs to provide the right solution to your carpet problems! Pre-inspection: Our primary focus is to address any concerns you may have with your carpet. Next we evaluate your carpet from a professional’s perspective to determine the best cleaning method. Agreement Form: We provide a clearly written agreement form that covers the cleaning details and all accompanying charges. You’ll know up-front what to expect and there are no surprises. Moving Furniture: When necessary we will move and replace small furniture in its original position. We do not move large furniture, most beds, heavy dressers, china cabinets, entertainment centers and pianos. We do not disassemble/reassemble any furniture. Pre-treatment: We apply a safe and PH balanced pre-cleaning solution to your carpet which is extremely effective, yet safe for kids and pets. Cleaning: We use state-of-the-art equipment that produces cleaning temperatures of 230 degrees. Our Hot water extraction process is the preferred cleaning method of all four major carpet manufactures. The fact is, other cleaning methods may result in nullifying your carpet’s warranty. Grooming: We always finalize our service by grooming the carpet which promotes a clean inviting appearance. 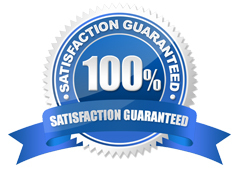 Post-inspection: Upon completing our services, we re-inspect the carpet with you to ensure your 100% satisfaction. We apply Scotchgard protector to your carpet after cleaning which forms a strong shield on carpet fibers and prevents permanent stains. At High Performance Carpet Cleaning, LLC s we’re here to provide professional solutions and services for all your carpet cleaning in Colorado Springs requirements. Congratulations, you are now well on your way to having a much cleaner and healthier home!